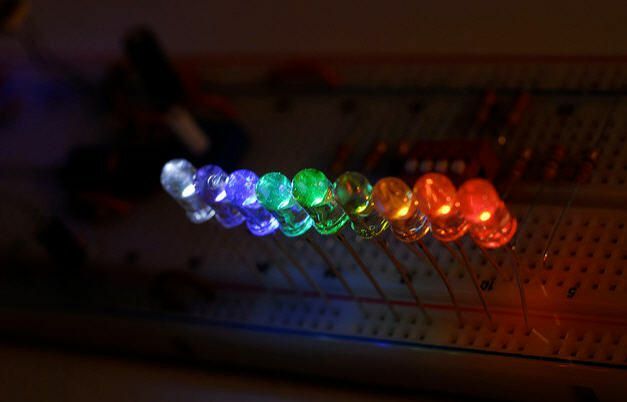 A rainbow of colors in nine clear 5 mm LEDs and one white 10 mm LED. These are standard, super-bright LEDs. You can use them with a 3 V power supply or in series with a resistor and a 5 V power supply. Nine colors included plus one bonus 10 mm LED: red, orange, yellow, lime, green, blue, aqua, violet, white. Let us make some rainbows. 5 mm LEDs. Great for breadboards too.